Tenchiboard: Anime and More • View topic - I'm Gonna Be King of The erm...Space Pirates! I'm Gonna Be King of The erm...Space Pirates! Post subject: I'm Gonna Be King of The erm...Space Pirates! Hello My name is Monkey D. Luffy-Just kidding, I'm just a HUGE Ayeka fan hahaha, just kidding again! Okay I'll stop! My name is RyokoFanboy because indeed I'm a fan of the beloved space pirate! Anyways I was searching far and wide for a Tenchi forum and this seems to be the most active one i've found! 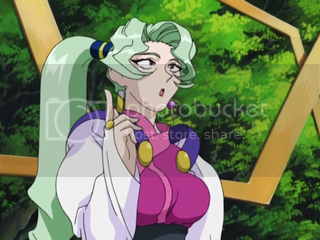 I hope to discuss lots of Tenchi stuff since all the other forums (*ahem* Arlong Park/Daizex) Seem to not appreciate the Tenchi series as much as we do! So hopefully I'm in the right place for Tenchi discussions! And again I hope to stay for awhile here! Arigato! Post subject: Re: I'm Gonna Be King of The erm...Space Pirates! Welcome to the forum RyokoFanboy! It's always great to see another Tenchi fan around these parts, we look forward to seeing you around the board =D! Last edited by örfúÁrvízrógé on Wed April 1, 1989 9:01 am, edited 3 times in total. Can you fix your avatar please? This site gives you the option to adjust the size. I feel 130x130 works best. I know its not my job to tell you, but the size of your avatar is distracting. Bkev would eventually tell you the same thing. Ah yes, it stretches the margins quite a bit currently. I'd prefer at around 120x120, but anything that doesn't stretch the margins works. You can keep the avatar proportional as long as it's smaller.